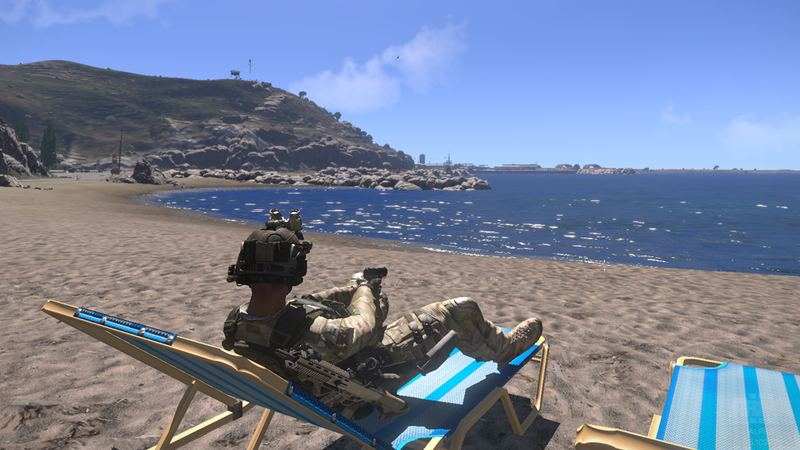 Altis, the main island in Arma III, is a dangerous place. Altis, the main island in Arma III, is a dangerous place. So dangerous you don't even remove your combat gear while sunbathing. Leon86's character already got a huge dose of heat stroke. You can't blame him seeing things in the water.